We are the pioneering Manufacturer, Wholesaler, Trader firm nurturing innovation in our offered next generation Microfiber Duster Cloth, Paint Spray Gun, Mini Spray Gun, High-Pressure Spray Gun and more. 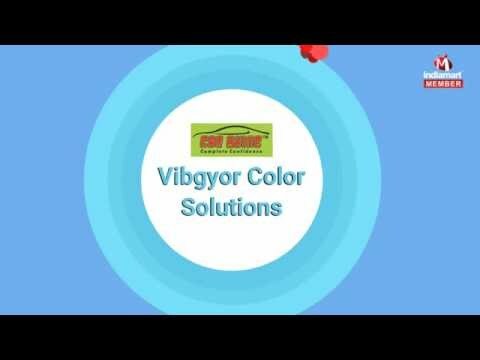 Established in the year 2006, Vibgyor Color Solutions is the dominant Manufacturer, Wholesaler, Trader firm in the industry fostering a progressive company culture due to its developed modern day Car Polisher and Spray Gun. Owing to our rich legacy and modernized research and engineering capabilities, we have become able to garner exacting client needs with a broad range of machines, such as Microfiber Duster Cloth, Paint Spray Gun, Mini Spray Gun, High-Pressure Spray Gun and more. Our aim is to deliver the best value for the money; hence we are accountable to develop products that feature attributes of compact design, light weight, fine atomization, high-efficiency transfer, stable performance and longer service life. With a mission to make the task of painting and polishing easier and more productive, we have implemented technological advancements at our infrastructural work set up. Moreover, our diligent team members strive to develop and deliver technology at our modernized R &;D centers, where we endeavor to anticipate the unmet client needs and find the innovative mechanism for it. Our offered product designs are central to the business efficiency of our prestigious clients. Moreover, our offered machinery is deployed all across the country with the trade brand name Car Shine which has earned us the pioneering success at a phenomenal pace. Our vision is to become the leading entity delivering innovative polishing and spraying mechanism. And, we take pride that the skilled expertise of our team members is playing a vital role in our pursuit. Our team comprises of young and dynamic professionals who are passionate about exploring unique ideas and advanced mechanisms for the industry. Further, our highly experienced team of manufacturing experts, quality assurance officers, sales and marketing personnel and trained workforce always look ahead to add value to the company. Our team members are backed with unique skills of self-activeness which makes us able to meet the quality needs of our prestigious clients. Quality compliance is on top of the mind of our workforce, whose actions and activities are regularly monitored by inspections and audits. Moreover, our quality assurance department conducts rigorous tests on the finished equipment to ensure its stable performance and high efficiency. 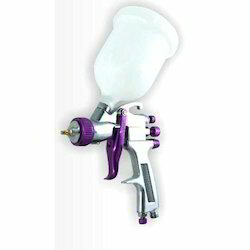 We are offering Paint Spray Gun. 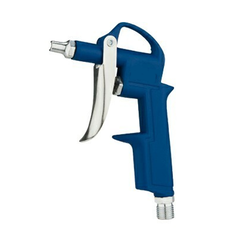 We are offering Mini Spray Gun. 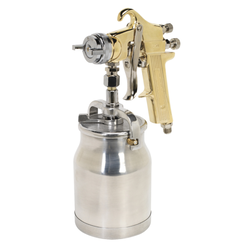 We are offering High-Pressure Spray Gun. 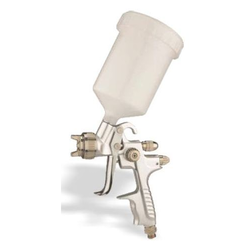 We are offering Grade Spray Guns.